Whether you’re strumming through a quiet evening around a campfire or shredding during a raucous jam session with a group of friends, few instruments are as essential and versatile to the creation of great music as a good guitar. A good acoustic guitar will grow with you musically and provide hours of song-building and years of enjoyment. When it comes to choosing your particular instrument, the choices can seem overwhelming. But that’s where we come in. In this guitar buying guide we break down what you need to know before you make your next guitar purchase. 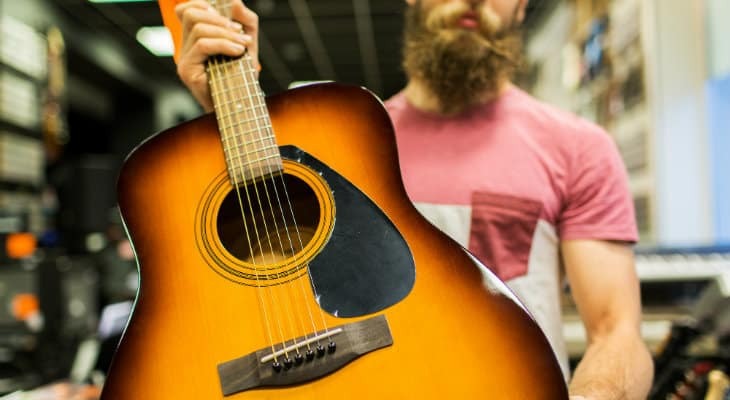 What Type of Acoustic Guitar Should You Get? Steel String or Nylon String? Before we get into specifics, first we need to talk basic terms. You will see quite a few different options in acoustic guitar styles when you go to buy. While this isn’t an exhaustive list of all of the bells and whistles you will find as options on store shelves, it is a list of what I think are the most important considerations. 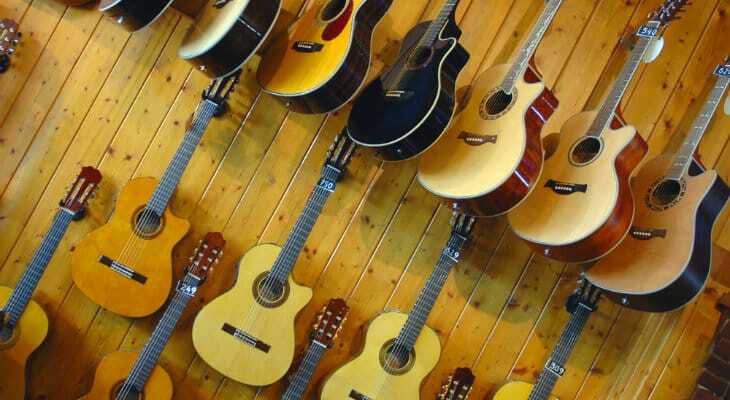 Choosing between a steel string acoustic and a nylon string “classical” guitar will be one of your first decisions in the guitar-buying process. Steel string guitars are probably what you think of when you picture an acoustic guitar. Classical guitars differ in design and body style, with rounded shoulder and curved bottoms. Besides the appearance, the main difference between a classical guitar and a traditional acoustic will be the sound. Classical guitars typically have nylon strings instead of metal. The strings and the difference in body design combine to produce a distinctive classical guitar tone. 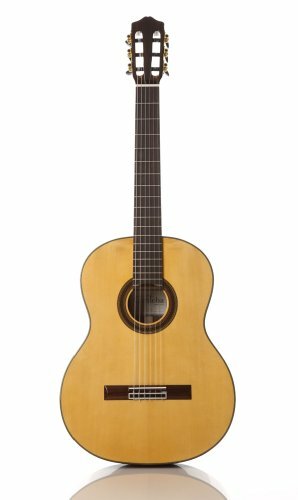 If you’re ever heard traditional Spanish or flamenco music, you’ve heard the tone that a classical guitar produces. Choosing a classical guitar versus a steel string acoustic will be based primarily on what type of music you see yourself playing. Steel string guitars are what you hear in rock, blues, bluegrass, folk, country and most other modern styles. We’ll be focusing on steel string guitars for the rest of this article. There are several different body styles to choose from when picking out your acoustic guitar. The dreadnought body is a classic, and is probably the most well-known and popular body style. With their distinctive square shoulders and bottoms, dreadnoughts are well known their sound. The design allows for clear tone and excellent projection, with more emphasis on the bass end. There are several other full-sized guitar body styles to consider, including Auditorium, Concert, and Orchestra shapes. Each shape emphasizes a different part of the acoustic spectrum to produce a different sound. For a full breakdown of all the different body styles, see our guide to different types of guitar. Few things affect how your guitar sounds as much as the tone woods used to make it. A spruce top will have a brighter, punchier sound than a mahogany top, which will have a warmer, more mellow tone. Cedar is becoming more and more common, and this unique wood is both bright and warm, with a mellow, aged tone. The best quality acoustic guitars are made with solid wood tops, and higher end models have solid backs and sides as well. Solid woods tend to produce deep and interesting tones that become more complex with age. Travel guitars are great for versatility. Most smaller guitars will fit great as carry-on luggage or in the cramped spaces of a packed car, train or bus seat. Washburn even makes a travel acoustic that is specifically designed to fit into overhead luggage storage pockets on planes. The lightweight is also a great feature if you’ll be lugging your acoustic around to multiple locations. Smaller in size does not have to equal smaller sound either and you can find many great acoustic guitars in the travel category. Most modern travel guitar designs still get amazing projection and volume through innovative body designs and other technological advancements such as added electronics (see below). One of the last big choices you’ll have to make when purchasing your next acoustic guitar is whether to splurge for built in electronics. A good acoustic-electric guitar includes a pickup, pre-amp, volume and tone controls, so you can amplify the sound of your acoustic guitar. Some even include built in tuners so you won’t have to carry around your guitar headstock tuner. Having built in electronics adds a level of versatility to your playing. If you are in a larger venue it can be difficult to be heard all the way in the back of the room. Mic’ing up your guitar means that you’ll be more or less stationary on the stage. This works great for some singer-songwriters, but not so well if you like to be active and put on a show. Built-in electronics let you plug into an amp and produce an acoustic guitar sound that can be heard no matter how far away your listener is. The Seagull Artist Mosaic is a top-of-the-line, all solid-wood guitar from Seagull. This six string has everything you expect from a great Seagull guitar. The solid spruce top gives this guitar a sweet, powerful tone, and the signature tapered headstock makes it easier to stay in tune. And it costs less than $1000 (as of this writing). The Seagull Artist Mosaic competes with guitars many times its price, and if you’re looking for a new acoustic guitar this should be at the top of your list. Gorgeous true tone and fantastic projection make the Taylor 114ce Grand Auditorium a great guitar. Taylor is known for its solid tone wood, and the 114ce sports a solid sitka spruce top with layered sapele back and sides. The electronics are top notch with a built in preamp, allowing for plenty of versatility on either the stage or in the studio. The overall result is a reliable, quality acoustic guitar that would make an awesome addition to any musician’s collection. Martin guitars have been played by great musicians far and wide, and that classic Martin sound is what most people think of as what an acoustic guitar “should” sound like. 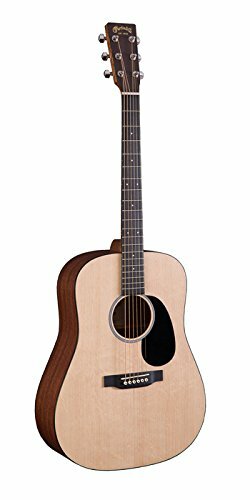 Featuring a solid Sitka spruce top and solid sapele back and sides, the Martin DRS2 brings the quality of a top-of-the-line Martin guitar into reach for musicians of all budgets. The action is perfect out of the box, and the richlite fingerboard is smooth and responsive. And the DRS2 definitely has the bright, clear, iconic Martin sound. Throw a quality capo on this guitar and you’ll be strumming folk tunes in no time. The Epiphone Hummingbird Pro makes our list of the top acoustic guitars for its awesome combination of performance and value. Affordably priced, the Hummingbird features Epiphone’s renowned reputation for quality and performs like a much more expensive model. Another acoustic-electric hybrid, the Hummingbird also features attractive styling, a solid spruce top, easy action and superb handling. 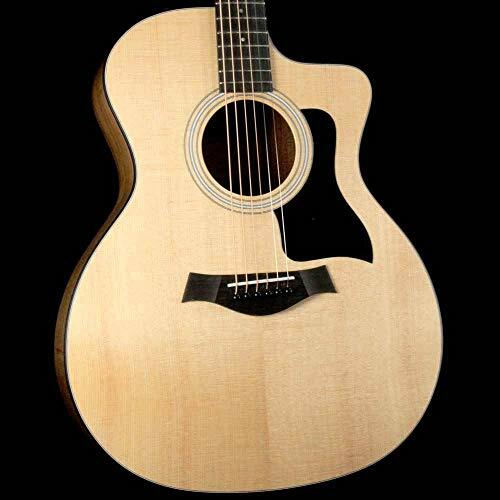 Yamaha guitars are consistent performers when it comes to the top rated acoustic guitars. The Yamaha FG820 certainly qualifies as not only a great value, but also a top performer. Beginning players will love the value on this sub-$350 acoustic, and more experienced players will enjoy the easy action and quality features such as a solid spruce top and mahogany sides. This guitar sounds great and plays great, making this best value acoustic a solid versatile option for a wide range of players. Fender Tim Armstrong Hellcat Acoustic-Electric ﻿Guitar. Blueridge BR-143A Historic Craftsman Series 000﻿ ﻿Guitar. The top acoustic guitars come in a variety of makes and models. While you can find good guitars from just about any manufacturer, certain brands have their own flavor or style. Here I break down what you need to know about some of the best guitar brands. Taylor is an iconic name in acoustic guitars. If you’re looking for top notch playing action, look no further than a Taylor. Customer service for this decades-old company is also acclaimed. And Taylor is committed to using only sustainably sourced tone woods which means you can be eco-conscious while playing your new acoustic. It’s no wonder that Martin guitars are at the top of many acoustic guitar reviews. Few names in guitars are as well known for producing a consistent, iconic sound as well as Martin. The Martin “voice” is hard to imitate and definitely unmistakable. If you are looking for a deep, warm tone and sensitive dynamics, then a Martin might be the best guitar for you. Epiphone has been making guitars for nearly 150 years, and they’ve learned a thing about producing the best sounding acoustic guitars in the process. Innovation is what drives this company, and you’re guaranteed to always have the newest in quality features on an Epiphone acoustic. These guitars are built to last, and Epiphone backs this up with a lifetime warranty on their instruments. Gibson may have started out producing mandolins over a hundred years ago, but that just means they know how to make a finely tuned string instrument. Gibson operates out of a specially-built facility in Nashville, TN, and also offers custom restoration of older models. I am especially a fan of the Gibson electric-acoustic guitars for top notch onboard preamp and electronic components. Fender is best known for their electric models, but don’t discount them from the acoustic guitar game. Fender prides itself on its styling and craftsmanship, and that commitment definitely shows through in their instruments. When you buy a Fender you don’t just get a new guitar, you become part of an iconic rock and roll brand. Yamaha excels at making all kinds of musical instruments, and guitars are no different. From affordable models great for beginning players all the way up to intermediate and professional models, Yamaha produces quality guitars that will grow with you while you develop as a player. Seagull guitars are handmade entirely in Canada from sustainably-sourced tonewoods. A division of Godin Guitars, Seagull aims to take the components and construction techniques of high end instruments and apply them to top quality guitars that any working musician can afford. Featuring a distinctive headstock and often using non-standard woods like cedar, Seagull guitars are all top notch workhorses that look great and are fun to play. Alvarez may not be as well known as Martin, Taylor, or Gibson, but they make some great guitars that can go toe-to-toe with any of these top brands. While they are based in St. Louis, MO, their top models are made at the legendary Yairi guitar factory in Japan. Played by such luminaries as Bob Weir, Carlos Santana, and Crosby, Stills and Nash, Alvarez guitars produce complex sounds with excellent playability. 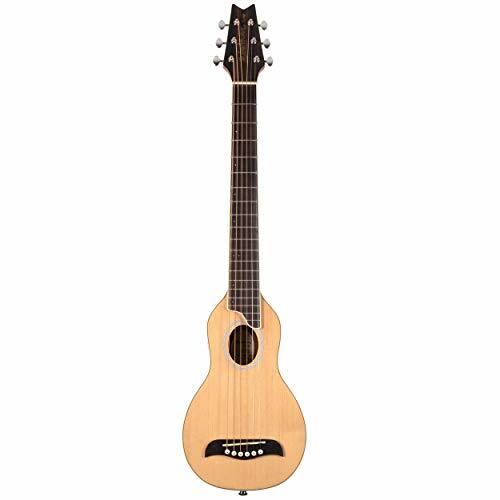 There are multiple acoustic guitars body styles, and you can find top rated acoustic guitars in a host of different sizes. Whether it be for traveling or playing on a stage, features such as dreadnought vs orchestra vs travel sized and whether or not the guitar has any cut outs will all be choices you will have to make. Decide whether or not you have the room in your budget to invest in electric components. Adding electric to your acoustic guitar will add versatility and will let you un-mic at events. If you don’t purchase an electric equipped model, consider investing in an acoustic guitar pickup for the sound hole or bridge. Wood choice will have a direct impact on the tone and quality of your playing. Mahogany produces deep rich tone while spruce will be better in the mid and upper ranges. Experiment with a variety of different woods to see which produces the sound you like best. Anything with all solid wood will produce the most complex tones and age the best over time. Acoustic guitars vary wildly in price. More expensive does not necessarily mean better, and there are some great cheap acoustic guitars out there these days. Sure, that $2,000 Martin is likely a great instrument, but is it really all that much better than that $400 guitar you’ve been looking at? Whatever your price range, you can find an awesome guitar to match. When deciding which acoustic guitar is right for you, think first about when and where you see yourself playing. Campfire tunes require a more rugged and portable instrument. For studio work, you are going to want something with more resonance and pure tone. Make a checklist of qualities and characteristics you will want in a guitar and then narrow down brands and styles based on those considerations. When it comes to guitars, it’s hard to pick just one. Although there are many great models on the market, you may find yourself unable to find a single instrument that meets all of your needs. With variations for every budget, consider whether your next guitar purchase could possibly turn into two or three distinct guitars for different occasions and purposes. You can mix and match your sound even further by playing around with different acoustic guitar strings. Hopefully this handy guide to the best acoustic guitars has given you a starting place for your next guitar purchasing adventure. You do not mention the hidden jewel in the crown of acoustic guitars. It will out perform any of those you have mentioned. Thanks for the tip Eddie! We’ve heard of Furch guitars but have yet to play one. In this article, we decided to focus on guitars that provide excellent sound and playability at a cost that is accessible for most players. We’ll look into it for our upcoming article on high end acoustics, as Furch guitars are quite expensive. Take care!